Als 1972 die "Quadromanie" ausbrach . . . . . .
vermutete man bei TEAC, "jeder" Tonband- Fan will jetzt 4-Kanal Eigenaufnahmen machen. Daß selbst die Tonstudio-Profis sich uneinig waren, wie Quadro aufgenommen werden sollte oder mußte oder wollte, alles war damals im Fluß. Und, um in diesem Nischen-Markt ja nichts zu versäumen oder gar anbrennen zu lassen, brachte TEAC eine Kombination von Consumer-Quadro- Equipment auf den Markt. Sicher hatten die Japaner auch den enorm wachsenden Markt für die vielen Hobby-Musiker in den USA in Blick. (Mehr dazu finden Sie auf den TASCAM-Seiten). Jedenfalls gehörte zu der Kette der Geräte ein Quadro fähiger Mixer (AX-300) und ein Quadro-Dolby-Vorsatz (AN-300) und natürlich die ganzen TEAC Quadro Bandmaschinen. Bemerkenswert ist hier, daß der "6-auf-4" Mixer die professionellen XLR Mikrofon-Buchsen mit symmetrischen Eingängen hatte und am Ausgang zum Dolby-Teil die simplen Cinch-Buchsen dran waren (unsymmetrisch natürlich). TEAC - Always FIRST in Quality Audio Products- is again first with the world's only 4-Channel Dolby Noise Reduction Unit built to professional standards. Anmerkung : Das war die typische Eigenlobhudelei, die sich fast alle japanischen Hersteller auf die Fahnen bzw. in die Prospekte geschrieben hatten. In den USA mußten Sie mit solchen Sprüchen werben, denn "die anderen" taten das auch. The AN-300 has the same luxurious, professional-type circuitry (Schaltkreise) as found in the Professional B-type Dolby Systems (Anmerkung : Das ist Unsinn, DOLBY B war nie professionell.) used in the "pre-recorded" tape industry and FM broadcasting studios. Especially designed for 4-channel recording, it is also ideal for connecting two stereo decks to your amplifiers. Anmerkung : Die "pre-recorded" tape industry lieferte bespielte Bänder und CC-Kassetten mit grenzwertiger Qualität. Das hatte mit den Masterbändern in den Studios so gut wie nichts gemeinsam. Beim Kopieren im Schnellgang mit 6- oder 8-facher Geschwindigkeit ging so gut wie alles an ehemaliger Qualität des Masters flöten. The four separate Dolby-B circuits are of the most sophisticated design ever available to the audiophile. Unlike the conventional 2 channel units (which are fine for normal home recording), the AN-300 has full cycle input level rectifiers to provide constant reference for the Dolby effect. Anmerkung : Eigentlich ist da nichts von "Advanced Electronics", denn dieses Gerät hatte insgesamt nur 4 Dolby-Einheiten, genau wie das AN-180 auch, jetzt aber für 4 Kanäle - 8 Einheiten wären besser gewesen. Es hat dafür vier VU-Meter und "viel mehr" Knöpfe/Schalter, da wars dann auch schon. A low-pass filter attenuates all undesirable high frequencies over 20kHz by as much as 36dB, thus eliminating bias signals and high frequency harmonics from the input. For FM (bei uns UKW) broadcast reception and recording, the 19 and 38kHz notch filters remove the MPX carrier signals when switched in. The AN-300 is built around 4 separate Dolby-B Professional-type circuit cards (gemeint sind hier die Electronic-Platinen, nicht die DOLBY B logic) which are used for either (also entweder für) Playback or Record. Each of the 4 channels has its own large, easy-to-read, expanded-scale VU meter. The channels are controlled in pairs with the "Front" two channels operated simultaneously and apart from the paired "Rear" channels. Each channel has its own calibration control and VU meter. Because of the channel pairing, the AN-300 can also be used with one deck for 2 channel recording with simultaneous decoded monitoring. Without monitoring, you can connect 2 decks of 2 channels each and eliminate re-wiring when changing from one deck to another. Whether you perform 2-channcl or 4-channel recording or playback, there is never any need to change your connections when switching from playback to record operation. Any Dolby-encoded recordings made with the AN-300 are fully compatible with any other Dolby Noise Reduction Units used in "home stereo" !!! systems. Any "B" type Dolby-encoded tapes will also be perfectly decoded by the AN-300 for playback. As this is a professional type Noise Reduction Unit, the quality of your recordings is limited only by the quality of your microphones and other components. Microphone preamplifiers were not included for they should match the quality of your microphones. A good mic preamp such as the AX-300 Mixer combined with the AN-300 will give you excellent live recording with Dolby encoding. The professional-type 400Hz recording calibration tone employs a unique 420Hz pulse for easy identification of the calibration tone. Anmerkung : Unter "design" verstehen die Amerikaner etwas anderes als "das Design" bei uns. Dort ist es das Konzept, bei uns ist es die Optik und die war super. Doch der "professionelle" 400Hz Calibration-Ton Generator mit seinen 2 Transistoren ist natürlich ein Schmarren. The AX-300 Audio Mixer is a very High Fidelity, professional, 4-channel mixer and microphone preamplifier. With 6 microphone and 4 line inputs, this mixer will accept any program source, but it is especially designed for complex live recording situations. The AX-300 provides positive control over a multiple combination of microphones in the dynamic situations where distortion must be minimum and controls must be flexible. When this truly professional (der ganz sicher voll professionelle) mixer is used with a quality Dolby Noise Reduction Unit, such as TEACs unique AN-300, the ultimate in high quality, professional recordings can be efficiently engineered. The 6 microphone inputs arc balanced cannon plug connections for the low-impedance (150 to 600 Ohm) professional microphones, and input distortion is less than 0.2%. With the input conversion rate (at maximimum mic input level) of more than 50dB and a signal-to-noise ratio of better than 122dB, you can record the full spectrum of live audio without any missed nuances or distorted peaks. Each mic input also has a switched low-cut filter and switched attenuation of OFF, 20 or 40dB. Line inputs and outputs are unbalanced pin-jacks, making the AX-300 compatible with virtually any type of tape deck. Anmerkung : Nur Consumer- Tapedecks habe Cinch- oder Klinkenbuchsen. Profi-Tape-Decks brauchen keine und haben daher keine Cinch Buchsen. Das hier ist also ein Zwitter, 6 mal XLR ein und 4 mal Cinch out. 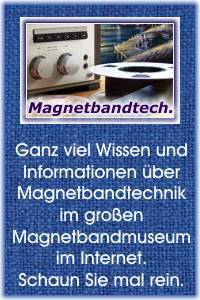 Die TEAC und TASCAM Semiprofi Mischpulte hatten alle Cinch Line-Eingänge. TEACs exclusive Memory Marker system on each of the 6 input level controls provides rapid, accurate re-establishment of predetermined level settings, ideal for positive fade-in mixing. The master output level control also has the Memory Marker for bringing all four outputs uniformly up to the desired level lor recording. Each channel has two output jacks,- eliminating any need for loss-producing Y-cords. Output clipping distortion is nonexistent, as the clipping level is 7 volts above the rated output level. The unit is completely shielded against external noise and will not pick-up fluorescent, TV, auto or other electrical interference. The AX-300 will also perform mix-down actions to two channels as all 6 sections can be switched to outputs 1 and 3. The two mic-only sections can be switched to any of the 4 outputs or each can be split to two different outputs. For the ultimate in professional quality, 4-channel recording, you will find that the A-2340/3340 Simul-Sync tape decks from TEAC provide the most outstanding quality and desirable features. In addition to standard 4-channel recording, they have the unique Simul-Sync capability which provides complete overdubbing of any combination of channels. Record 1, 2, 3 or 4 tracks at a time and return later to perfectly synchronize any new material with that already recorded. With the AX-300 for Mic/Line mixing and mic channel placement, and the AN-300 for professional-type Dolby "B" encoding, the A-2340 or A-3340 will provide you with a complete, semi-professional recording ensemble, capable of producing professional quality, 4-channel master tapes and totally flexible for a wide variety of recording situations. AC Outlet Unswitched: 500W max. Auch hier fehlt jeder Hinweis auf TASCAM. Man könnte nämlich - als Interessent oder potentieller Kunde - auf die Idee kommen, die oben beschriebenen Specs mal mit denen von TASCAM zu vergleichen und man könnte damit ganz leicht herausfinden, nichts von den technischen Daten ist hier professionell - außer den Sprüchen des Werbetexters. Es gib ja Gründe, warum der vermeintlich nur ähnliche semiprofessionelle TASCAM "6 auf 4" Mixer das Zehnfache kostet und ein richtig professioneller Mixer das hundertfache dieses AX-300. Die Liste von 1975 im Hifimuseum. Zu der Zeit war die gaze Quadro Euphorie bereits deutlich am Abklingen.